On my property stands an authentic pioneer cabin from the 1840s. My late father, Len, salvaged it from the wrecking ball on the Pickering Airport lands about 30 years ago. Inside of this fine virgin pine structure is a collection of gardening paraphernalia that I have collected over the years. Among the artefacts is a box of swede garden seeds that date back to 1947. I tested some of them recently and lo and behold they are still viable: they germinated in spite of being dormant in a dusty box for over 60 years. The seeds that you buy on the racks at your local retailer this time of year are, thankfully, a lot fresher than my swedes. In fact the producers of retail seed packets are required by law to sell seed that was harvested last year for sale this season. That is why the back of a seed packet is generally stamped with the date. As we wade into spring, there is a general awakening that occurs in us. Something stirs that makes us want to get outside to throw a Frisbee or take the dog for an extra long walk. Like a bear waking from hibernation, we go outside and breathe deep the fresh air of spring. There is something primal about it. The seeds that we sow each spring for our garden go through a similar process: Mother Nature has programmed them to produce a root right about now. Or, over the next few months. For this reason I draw to your attention the great pleasure and immense satisfaction that can be derived from seed starting this time of year. The timing of seed sowing varies widely, depending on the type of plants that you wish to grow. Some seeds should have been started by now [like petunias, impatiens and geraniums] but in most cases you still have time to get started. – Seed starting trays. I use the type that does not have drainage holes. I place plastic inserts into the trays that drain freely. I like the larger sized 4 cell packs vs. the smaller 6 packs that require more water and attention. – Clear tray topper. To create a mini-greenhouse effect. They hold in moisture during the critically important seed germination period. When germination occurs, prop up the transparent top with a popsicle stick and remove it altogether when the seedlings touch it. – Seed starting soil. Look for brands that you can trust like Green Earth, Premier, and CIL. A seed starting mix is different from potting or container mix as it is finer, lighter, and holds moisture for a longer period of time. – Hand held atomizer. For misting young seedlings to keep them moist. – Sunlight or artificial lights. If you don’t have a south or west facing window, you will need to acquire fluorescent tubes and rig up a propagation area or buy a plant stand with illumination. 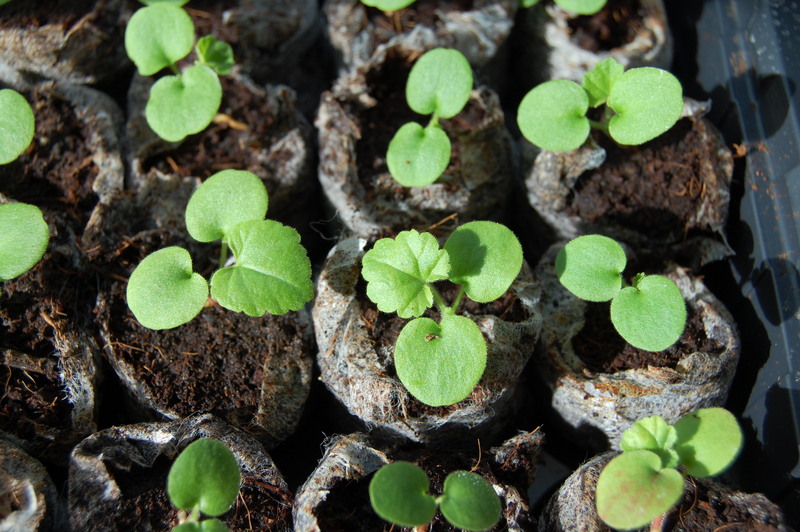 To determine the best time to get seeds started, consider the number of days it will take to grow a transplant to planting size and count the days back from the planting date. For instance, if May 24th is the planting date and you want to start tomatoes [which will grow to planting size in 4 to 6 weeks], the seed starting ‘window’ is during the first two weeks of April. Or follow the chart below which assumes May 24th is the planting date [easier, right? Just post this on your fridge]. Starting a garden from seed is one of the most satisfying experiences that you can have as a gardener. Imagine telling friends that you have over for dinner this summer that the tomatoes they are enjoying were not only grown by you but started by you from seed. You will surprise yourself at how easy it really is.